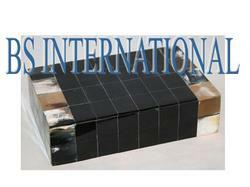 We are the manufacturer of horn soap box and others horn products. We have different variety of this product. This is a materpiece designed by skilful master. this box will add beauty to your themes. If you have any suggestion, development, sketch please free to contact us. The horn jewellery box is the demand of the modern ladies for its excellent style. The handcarved horn jewellery box is aesthetically designed by our designers. Optimum quality material is used in the manufacturing of the horn jewellery box. 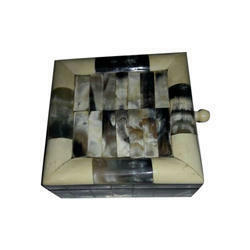 Besides a manufacturer, we are among the eminent exporters of horn jewellery box in the international market. It is Made From Horn.